Aydin Aghdashloo (Persian: آیدین آغداشلو‎‎; born October 30, 1940) is an Iranian painter, graphist, writer, film critic and one of the known artists of Iranian modern and contemporary art. His art works are known for showing the thought of gradual death and doom and also recreating remarkable classic works in a modern and surrral form. His two series Termination Memories and Years of Fire and Snow are considered part of the most important series of modern Iranian art. Aghdashloo began designing, graphics and painting since adolescence and became the painter of Iranian textbooks, magazines and private institutions in youth. For a while, he directed the cultural and artistic affairs of "Special Office of Queen Farah Pahlavi" and helped collecting Iranian and global artworks. He was also involved in launching Tehran Museum of Contemporary Art and Reza Abbasi Museum, and directed the latter for a while. After the revolution, Aghdashloo is considered one of the most famous painting masters for the third generation modern Iranian painters. As of now, Aghdashloo has held two individual exhibitions in Iran. The first one was at Iran-America Society in Tehran on 1975 and the second one in November 2014. In addition to several modern paintings, he has hundreds of writings including art and film criticism, research about the history of art, and travel literature. Aydin Aghdashloo, son of Mohammad-Beik Aghdashloo (Haji Ouf) and Nahid Nakhjevan, was born on October 30, 1940 in the Afakhray neighborhood of Rasht, Iran. His father was a Caucasian-Azerbaijani and a member of the Equality Caucasian Party and his family assumes their surname from the small town of Aghdash. After the retake of Caucasus by Bolshevik forces, they started arresting and killing members of the Equality Party on Lenin's orders and Mohammad-Beik was forced to pass the Aras river on horseback at night and seek refuge in Iran. He was educated and knew multiple languages. After entering Iran and employment at the Ministry of Roads, though he had much engineering activity, he became ill as a reault of depression caused by losing properties and distance from birthplace and died at Aydin's 11 years of age (1951) as a result of tuberculosis. Although Aydin does not remember a lot of memories of Mohammad-Beik, the former has remarked the latter's interest in Ferdowsi's Shahnameh, Eugene Onegin, designing and reading. Aydin's maternal family was thoroughly from Qajar dynasty. After seeing Aydin's talent in painting at school and his hand-made models, Mohammad-Beik took him to Habib Mohammadi, a painter and a teacher from Rasht. According to Aydin, while meeting Mohammadi, Bahman Mohasses was also in the room and the two were busy discussing a painting about the Battle of Plataea. Afterwards, Aghdashloo went to Tehran with Nakhjevan and they settled at his aunt's house. In Tehran and at home, Aghdashloo spoke Azerbaijani with Nakhjevan, and at education place, Persian and English. That was the time he entered the Jam high school in the Gholhak neighborhood on 1953 and became classmates with Abbas Kiarostami and Ali Golestaneh there. Aghdashloo's aunt and her husband were merchants and wealthy ones. While living with them, Aghdashloo passed much time painting alone. After seeing his talent in painting, his aunt enlisted him at painting classes of Monseigneur Basil and it was there he first learned about the oil painting technique. At a party in his aunt's house, Aghdashloo met a young Dariush Shayegan, who, after praising the former's art, explained him the art of painting and the works of impressionist painters. At fourteen years of age, Aghdashloo sold his first painting and then started working and learning graphic designing at the advertising institute "Ashena" with a monthly salary of 300 tomans at sixteen years of age and later on started working at the advertising section of the Ettela'at newspaper. In 14 years of age, he bought his first art work when he found a piece of Nastaʿlīq script by Asadollah Shirazi from the era of Fath-Ali Shah Qajar at an antique store in Tehran. Buying that work became a start for Aghdashloo to begin gathering books and writings. At 19 years of age, he entered the School of Beautiful Arts at University of Tehran after taking the competitive examination; until he quit his studies in 1967. He published his first article in artistic criticism at the Andisheh va Honar Magazine - directed by Naser Vosughi. Also, he criticized the poems of contemporary poets like Ahmadreza Ahmadi, Ahmad Shamloo, Mehdi Akhavan-Sales and Mohammad-Ali Sepanlou, under the alias "Faramarz Khabiri". That was the time he met Shamim Bahar, who encouraged him to "write everything he said about paintings" At first, he wrote his artistic criticisms sharply and harshly; and his thought and writing style was influenced by Jalal Al-e-Ahmad. In 1975, Aghdashloo held his first individual exhibition at Iran-America Society in Tehran. The exhibited paintings were mostly about floating things, dolls and some works about the Renaissance, works that later became the first pieces of the "Termination Memories" series and well showed the formation of the thought of annihilation and death in his mind. From 1973 to 1978, he taught at beautiful arts male high school and Decorative Arts School of Tehran. Later, he exhibited a series of his books and handwriting, which included 140 books and pieces from fourth to fourteenth Hijri centuries, at Negarestan Museum and sold all of his series to the museum. For a short while, Aghdashloo was the first director of Tehran Museum of Contemporary Art at the time of its opening. In 1972, he started working as a partner at the advertising company "Gam". Two years later in 1974, Aghdashloo produced and performed the television show "Seeing Methods" at National Iranian Radio and Television in the visual arts field. The show continued until 1976. In 1977, Aghdashloo accepted the dean of Tehran Museum of Contemporary Art on Houshang Nahavandi's invitation, but was replaced by Kamran Diba after a very short ten-day period and was appointed as "Director of Cultural and Artistic Affairs of Special Office of Queen Farah Pahlavi" in a government post. For two years, Aghdashloo became an advisor in buying art works by the queen's special office and painted much less than before. 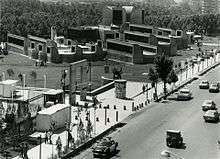 At that time, he opened Reza Abbasi Museum in Tehran and became the first director of the museum until 1979. Between 1976 and 1979, Aghdashloo helped open and launch Museums Abghineh va Sofalineh and Contemporary Arts in Tehran and also Kerman and Khorram-Abad Museums. With the birth of the revolution in Iran and its aftermath, Aghdashloo quit graphic work for a while, but returned in 1980. After the revolution, he was removed from his government posts, something he considers a "gift" which freed him from the restraints of his previous posts. In 1980, he divorced his first wife, Shohreh, and later, Shohreh left Iran for Windermere, England. At the same year, Aydin started his career as a professor at Art School of the University of Al-Zahra of Tehran and pursued painting in an extended way. However, after the cultural revolution and the expelling of contract teachers, Aghdashloo lost his job too. The years 1979 to 1981 were a period of poverty and loneliness for Aghdashloo and he painted in "the peak of distressed state". At the same time and due to the end of the previous income, he taught painting in private classes. Most of his pupils during that time were former students of his, who had scattered after the banning of universities. According to Talinn Grigor, Aghdashloo's training of young artists was an efficient and important factor in protecting art during the years of recess of art after the revolution. In the first years of 1360s Jalali, he researched and wrote teleplays of the two films "History of Writing" and "Traditional Workshops" for Islamic Republic of Iran Broadcasting and launched the free workshop painting classes "Honarkadeh-ye Zengar", where he taught for a long time. His classes always had high support and some remarkable artists of the new generation of painting were trained there. In 1983, he helped the production of the series "Towards Simurgh" about the history of Iranian painting since the beginning until the fourteenth Hijri century by IRIB. Aghdashloo was the holder and coordinator of several exhibitions after the Iranian revolution. While none of them were special exhibitions of his works, they played an important role in introducing contemporary Iranian art to the people inside and outside Iran. He took multiple exhibitions from Iran to other countries, including "Iranian Art, since the Past until Today" in China, "Past Iranian Art" in Japan, and the contemporary Iranian paintings with a traditional background sent to Bologna, Italy. 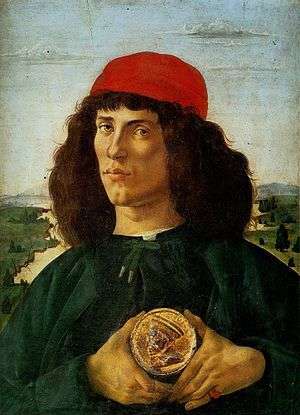 The works of Sandro Botticelli, Italian renaissant painter, inspired most of Aghdashloo's works. Before the 1979 revolution, the Saggakhaneh doctrine had been able to open a bridge between traditional and idiomatic homeland art and global futurism. However, Aghdashloo's works never had inclinations to Saggakhaneh, since, according to him, it "did not align with his purpose and agenda". When entering the School of Beautiful Arts of University of Tehran, Aghdashloo had professors who, according to him, "individually propogated their own beliefs and it was confusing to follow all." During the time, accurate and naturalist painting was considered old-fassioned and put aside and modern arts like cubism were encouraged. However, Aghdashloo applied the accurate and "skilled" style. According to him, meeting Shayegan and the latter's mentioning of the works of Salvador Dalí, Spanish surrealist painter, caused him not to be that loyal in his works to the real and accurate face of objects and his works to have a free form while being close to Ghaffari's realistic face. His ability in realistic painting had previously led to his assignment of painting the pictures of history text books written by Bastani Parizi in the former's 17 years of age. Aghdashloo's interest in including surreal spaces in his works and painting floating objects began in his 30 years of age. During the period, his works were of floating objects having a shadow on the ground. Such designs of objects floating in space with shadows on the ground were first applied by Sandro Botticelli and Aghdashloo's previous familiarity with Dalí's surreal works increased his interest in that work space. Aghdashloo felt very sorry for gradual and natural termination of Botticelli's Renaissant paintings and the 30 years of age was a start for him to visualize that sorrow and regret by destroying the portraits. In a surrealistic environment, he painted dolls having no faces influenced by Gergeo Deki Riko and they later became a large part of his series "Years of Fire and Snow". According to him, painting of such faceless dolls helped him say the subconscious suspicious and illusive word in the form of a painting. In the period after holding his individual painting exhibition at Iran-America Society, Aghdashloo painted from paintings more often; by choosing the works of artists of the Renaissance and looking at their paintings, he created personal statements of those works. His following of the art of the predecessors could be considered related to his personal interest in the history of art and especially the art during the Renaissance in Italy. His works in the period before the 1979 revolution is full of inclinations to the Renaissance and the Flanderish doctrine. However, by time passing and the change of beauty symbols in his mind, what dying in his paintings also changed; in a way that after the revolution, Iranian art - like design, painting and calligraphy - replaced Italian art in his works. Realistic remaking of important and remarkable works of the history of art formed most of Aghdashloo's style during adolescence and youth. At first, due to theoretical love with those works, he did not apply innovation in them; but during the next years and with his increased interest in the thought of termination and doom, those paintings were mixed with personal philosophy and assumed doomed and dark faces. During youth, Aghdashloo was very interested in hand-written books and since he did not have the financial ability to buy expensive works, he bought what "nobody bought", hand-written and torn and crumpled books; and then he repaired them. The procedure of repairing and remaking those old works took a reverse trend in his painting as time passed and it reached to the point of destroying and crumpling those works. After the 1979 revolution and the eight-year war, most of Aghdashloo's works were about memorials and objects proceeding to doom and damage; abandoned huts and views, green wooden rotten windows with broken glasses, old doors with rusted locks, and deadly blades as symbols of missiles hitting the cities; all of them showed the painter's thinking of gradual doom and damage as the passing of hard times. Aghdashloo named his works during that time of war "Single Face of the Painter in 48 Years of Age". His works in the series "Mediation of the Angels" is another statement of sorrow and sadness within due to losing things valuable or in destruction and getting forgotten. Aghdashloo's permanent thinking of gradual doom is seen in most of his other works. Sometimes, he has visualized death and senescence only for an internal quest and sometimes for protest, a protest to the destruction of beautiful things that fade as a result of mankind's ignorance. In those works, there is an eventual and apocalyptic look at beautiful objects that have a kind of foretelling about their fates. Copied paintings of remarkable works of predecessors that have been doodled with colors on faces or beautiful miniatures but crumpled and entwined; all of them in some way show his sorrow and concern about the unknown future of beautiful things. His miniatures are accurate remakes of famous Iranian miniatures from previous centuries and inspired by their meanings within; like the familiar picture of a royalty going hunting. In a period, Aghdashloo crumpled or stabbed miniatures of Reza Abbasi's era after repainting or he burnt them enough to imply the destruction of values in the contemporary world. But he quitted that activity after, according to himself, he found out that "bitterness had been replaced by ferocity and true destruction had replaced virtual". However, utilizing Iranian miniature continued in his works and he used every Iranian classic style and space for transferring his subjective concepts about the contemporary world. In the series Mediation of Angels (also known as "Fallen Angels") he visualizes a dark and horrible world where a whipped man stands with his back in front of the picture and the skin of his waist is being separated from his body. Behind the separated skins however, beautiful Iranian miniatures are seen that show the customary space of classic Iranian paintings in which colorful and beautiful pictures sometimes show terrible realities like battles. Combination of the two pictures gets the audience involved in contradictory worlds that are connected in the painter's insight. Aghdashloo paints most of his works by gouache on canvas. He first applied gouache for the two series Termination Memories and Years of Fire and Snow and large paintings of 100 in 70 centimeters. For decades, using gouache has been his favorite painting method, since it gave him the necessary skills. Watercolor is used in other series like Diaries of Bagh-e Molk and unimportant views. (38) He uses mild turquoise color in his works in order to make a peaceful sense in the sad space of the paintings. Works like Victoria's Death (1980) and Sandstorm (1980), both of which were painted a bit after the revolution, are decorated with that color. Until 2014, Aghdashloo had held only one individual exhibition in Iran. The 2014 exhibition began at Asar Gallery in Tehran on November and had outstanding public support until the police was forced to interfere in the queue of visitors. Previously, Aghdashloo's only individual exhibition was held in Iran-America Society on 1975. Aghdashloo has stated his reason for not holding exhibitions of his to be the failure to achieve a new discovery and vision by himself, since he believes that an art exhibition "should be established when the artist invites the people to see their new discovery." One of Aghdashloo's most important painting series is Termination Memories that is considered one of the most permanent series of artworks in the contemporary Iranian history. Aghdashloo started this series in 1975 and it is still ongoing. In his youth and when he bought and repaired old calligraphies, he started working on Termination Memories. In 2013, a selection of the paintings of the series was presented in an exhibition in Dubai. The series Years of Fire and Snow is considered another improtant series of Aghdashloo's that he began working on in 1976-77. Examples of the series include humans with wooden heads inspired from Gergeo Deki Riko that apparently have a high and amazing position, but are often situated in a cold and snowy background and are not aware of the realities around them. Some of Aghdashloo's paintings are held at Tehran Museum of Contemporary Art. Most of his other paintings are in private collections. He has also drawn some paintings for books by Bahram Beyzai, like Ayyarnameh, Modern Preface of Shahnameh, and Sheikh Sherzin's Scroll. Designing the poster of the film Descension achieved the praise of the 14th Fajr Film Festival in 1995. Also, he was nominated for the Crystal Simorgh of the Best Poster for the film Haji Washington in 1982. In the poster, Ezzatolah Entezami, visualized floating in the air and symbols of the United States of America, like the White House under his feet, are drawn in a decorative way. In the poster, Aghdashloo intended to visualize a man who had lost connection with both homeland and foreign country and was not able to "enter the heart of outside culture". Aghdashloo has composed several writings in artistic and literary evaluation. Most of these criticisms are about contemporary visual arts and the past of Iran and the world. His writings cover a long range including old Iranian art, miniature, painting, pottery, tessellation and film criticism. He is one of the fans of Iranian-Islamic art and has, for example, praised Iranian calligraphy several times. His writings have also had an important role in publicizing old artists like Mirza Reza Kalhor, Lotf-Ali Shirazi, and calligraphers and painters of the 12th and 13th Hijri centuries. Aghdashloo has left several reports of his trips to various regions of the world, including Switzerland and New York City. Also, Aghdashloo practiced poetry since adolescence; but according to him, he threw them away for a long time. Abbas Kiarostami held a series of Aghdashloo's poems of sixteen years of age. As of 2015, Aghdashloo has written six books. A close number of books have also been published about his works. Also, he has had some independent works printed including a mutual interview about past and today Iranian calligraphy titled Terrestrial and Heavenly. His book Evident and Hidden is describing a long interview with him in which Aghdashloo inspects and criticizes the cultural and artistic events of the 1340s Jalali in Iran.His works have been printed in some books including The Single-Faced and the other one is a large book with a preface by Dariush Sheyagan who has had the painter's works from the beginning to 1994 printed; however after that year, no other independent book was printed about his works. Aghdashloo arranged several art classes. After the revolution, he taught painting for a short while in Al-Zahra University of Tehran, but lost his job after the cultural revolution and started teaching at a private art house. Although he was prevented from teaching in University of Tehran because of his connections with the royal family before the revolution, Aghdashloo managed to train hundreds of young third generation Iranian painters by opening his personal atelier in Osku alley of Tehran for art seekers. Of Aghdashloo's remarkable students of the third generation, Houman Mortazavi, Khosrow Hassanzadeh, Sbohreh Mehran, Nurieh Mozaffari, Iraj Shafe'i and Abdi Asbaghi can be mentioned. Due to Aghdashloo's important place in contemporary Iranian art and his effective views in artistic criticism in homeland, his works and series have repeatedly been subject to criticism and inspection by art experts, and most of these criticisms have praised his art style and influence on contemporary Iranian art. However, his approach to painting has been criticized in the aspect that his calque of the works of previous famous painters has not been able to remake the audience's connection with the original works, which have been drawn in their exclusive spaces and only their outer form have been visualized by Aghdashloo. For instance, unidentified heads of men in Deki Riko's paintings have repeatedly been copied by Aghdashloo, and he has incorporated his Oriental thought of gradual termination and doom in the final work by putting deliberate doodlings and scratches; but the original faceless heads of Deki Riko's are visualized in the Occidental space and with his special thought and their reexhibition in Aghdashloo's paintings have not been able to transfer the concept of the original work. Karim Emami writes: "Aghdashloo's best works will, along with the most meritorious artistic and literary achievements of this divergent and amazing generation, remain for the future generations. Originality is a requirement, and that's a feature that can be found in Aghdashloo's best works." Bahram Beyzai writes in a part of his article: "Why shouldn't I be rude and say that if there's a value in copy-painting, the patterns of the previous celebrities of painting and visualizing aren't in our reach; so that as evaluation criteria, they can testify for the level of accomplishment of those masters in copy-painting; but their works, which Aydin has remade, are a proof of Aydin's skill in copy-painting. It's obvious that copy-painting wasn't all of their art, as it's not all of Aydin's. It's Aydin's imagination and time-sighting and death-aware thought that's the final maker of his work. The crevices that time has made in the paintings, and the oppressions that the cosmos - or man's hand - has inflicted upon them. In Aydin's repaintings, these masters' praise are accompanied with sorrow for their own and their works' mortality." Ahmadreza Ahmadi has said: "Aydin well knows that the sound of excessive clappings deafens you and the flashlight of the photographers blinds you, even if you wear black glasses. The most important feature that I saw in Aydin during these 45 years that never faded away either during youth or now that we both have white hair and we don't color is that he has always looked at the universe with insight and wisdom and hasn't become too proud after discovering a new domain." Mohammad Ahsayi has said: "Every criticism Aydin has witten about a subject, issue, article or criticism is full of various information. In Terrestrial and Heavenly he has a view on Iranian calligraphy; you wonder how he has achieved so much knowledge. Touch wood! I've been satisfied for a long time. Whatever I want, I go to his house like a beggar. If I have become someone important in my career, I owe it to him. Alone, he is a whole school of art. Ask this from his more than a thousand pupils." Dariush Shayegan has written: "I remember the Aydin of the first years of the 30s: A beautiful child six years younger than me. I was a young boy in adolescence, and he was a kid very impressionable and talented. During summer and holidays when I was returning to Iran from Europe, I had a chance to see him and these meetings were made possible by friendly relationships that were between our families. I don't forget how enthusiasticly he consumed my slight information about art. At the time, I had visited all of Italy and had familiarized with the great names of Italian Reneaissant artists and French impressionists thanks to visiting Paris and London Museums. Lets presume my understanding of them, and totally Occidental art, wasn't that deep and accurate.... Aydin is a fantastic event, with a pretty premature talent. Who knew that this good-looking boy who listened to my words with such a trust, was destined to become one of the most influential artistic figures of Iran. In a ceremony that was held in French embassy in Iran on Tuesday, January 12, 2016, Aghdashloo received the Legion of Honour. Aghdashloo married Shohreh Vaziritabar - theater and film actress known as Shohreh Aghdashloo - in 1972. Their marriage lasted until 1980, when they got divorced and she left Iran. Aghdashloo married Firouzeh Athari (architecture graduate) who was one of his students in 1981 and they have a son and a daughter named Takin (1982) and Tara (1987) respectively. His family emigrated to Canada and was situated in Toronto on 2001. Tara learned journalism in that city and started working in TV networks like BBC Persian and Manoto 1. Aydin Aghdashloo lives in Tehran and spends most of his time at his personal atelier, which is his painting workplace and artistic researches, and also the place of keeping the old dishes and objects from previous centuries that he utilizes in his works. He always listens to music while working, and according to him, he "can't work at all without music." 1 2 Bayzai, Bahram. About Aydin Aghdashloo and His Art. 1 2 3 4 5 6 7 Maskub, Taraneh. The Calendar of Aydin Aghdashloo's Life. 1 2 3 4 Karimian, Rambod (1993). "An Interview with Aydin Aghdashloo". Kalak. 1 2 3 4 5 6 7 8 9 10 11 12 Murizinezhad, Hasan. Contemporary Iranian Artists: Aydin Aghdashloo. 1 2 Abolgasemi, Mehrdad (December 3, 2014). "Doyche Veleh Farsi". Retrieved August 25, 2016. ↑ Sa'ebi, Marjan (2012). "Jan-Shifteh: A Talk with Aydin Aghdashloo for his 72nd birthday". Tajrobeh. 1 2 Grigor, Talinn (2014). Contemporary Iranian Art: From Street to the Studio. Reaktion Books. ISBN 978-1780232706. ↑ "Virtual Embassy of the United States of America". ↑ Aghdashloo, Aydin (2002). Criticism and Introduction: Preface of the Painting Series. Roshd-e Amuzesh-e Honar. ↑ Sograti, Amir. Atelier of Aydin Aghdashloo. Tandis. ↑ Taghizadeh, Zhinus. 32, Osku Alley. Tandis. 1 2 3 Karimian, Rambod. An Interview with Aydin Aghdashloo. 1 2 Sa'ebi (2012). "Jan Shifteh: An Interview with Aghdashloo in His 72nd Birthday". Tajrobeh. ↑ Yazdanpanah. "Interview with Aghdashloo". 1 2 3 Saadi-Nejad (2009). "Mythological Themes in Iranian Culture and Art: Traditional and Contemporary Perspectives". Iranian Studies. 1 2 Aghdashloo. Criticism and Introduction: Preface of the Painting Series. 1 2 Farid. "BBC Persian". 1 2 3 Karimian (1993). "Interview with Aghdashloo". Kalak. ↑ Sa'ebi (2012). "Janshifteh: An Interview with Aghdashloo in his 72nd Birthday". Tajrobeh. ↑ Bayat (2014). "An Interview". E'temad. ↑ Beyzai. Sheikh Sherzin's Scroll. 1 2 Beyzai. About Aydin Aghdashloo and His Art. ↑ Bayat. "About the film". 1 2 Taghizadeh (2007). "32, Osku alley". Tandis. ↑ Yazdanpanah. "Artanian art group". 1 2 Grigor. Contemporary Iranian Art: From Street to the Studio. ↑ Hosseini Rad. "Today Posters". ↑ Emami. Chosen Preface of Paintings. ↑ Ahmadi. Our Painter Aydin Aghdashloo. ↑ Ahsayi (2008). "Paying My Debt to a Friend". Bokhara Magazine. ↑ Shayegan. Searching Lost Spaces. ↑ Maskub. The Calendar of Aydin Aghdashloo's Life. 1 2 Sograti (2012). "Aydin Aghdashloo's Atelier". Tandis. Lucie-Smith, Edward (September 1999). Art Today. Phaidon Press. ISBN 0-7148-3888-8. Ali Dehbāshi, Aghdashloo, a passer-by by the side of the wall (Aghdashloo, āberi dar kenār-e divār), in Persian, Jadid Online, January 30, 2009, . • Aghdashloo: Living to Paint, in English, Jadid Online, 14 May 2009, . • Audio slideshow by Shokā Sahrā'i, in Persian (with English subtitles), Jadid Online, 2009: (7 min 6 sec).